Q. 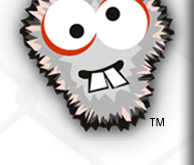 Why Purchase a MuttPuppet? We designed these toys with fun and safety in mind for our dog. NO STUFFING!! Q. What makes the Muttpuppet a better dog toy? Q. Why will your dog be instantly entertained? The Original Muttpuppet is an all material dog toy featuring a durable cotton dog rope, sewn-in squeakers, open-ended treat pouch w/rawhide bone, and detachable squeaker head. The Mini-Mutt is a small dog design to provide the little dogs the same fun the Original Mutt offers. Although there is no detachable head, there is squeaker body, cotton rope, and open-ended treat pouch. We recommend putting in your dog's favorite snack. Mutt Nutts! Inspired from the great buckeye state of Ohio we created a stuffing free, dual squeaker head, sewn on a 20" durable cotton rope, that contains two open-ended treat pouches for your best friend! We recommend putting in your dog's favorite snack. 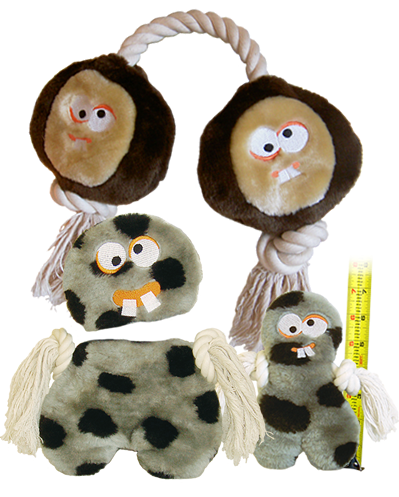 Our featured product is the return of the Original Mutt Dog Toy. We're calling it a return because we brought back the detachable velcro head feature. We upgraded our manufacturing for all our products, which is sooooo huge for us. Another new feature is an open-ended treat pouch containing a rawhide bone. So the true 3-in-1 dog toy is back. This toy design won the Pet Age Pinnacle Award, voted the #1 dog product in the toy category, as determined by reader requests. Thanks for shopping with us ... now please connect with us socially ... However you got here, we're glad you found us! ©2011 MuttPuppet, Ltd. All rights reserved.